Spread it in a pan and keep aside . Cook both chicken piecs and prawns with salt and pepper powder.If the chicken pieces are big shred it . Heat a pan with butter.Add chopped garlic.Saute it well in hih flame.Now add chopped vegetables and a pinch of salt . Saute it well.Be careful while adding salt. Now add soya sauce and stir it well. Crack the egg and mix it well. Now finally add cooked rice.Mix it again. Be careful while adding salt. Ajinomoto is the main taste maker in Chinese dishes.So if prefer you can add. 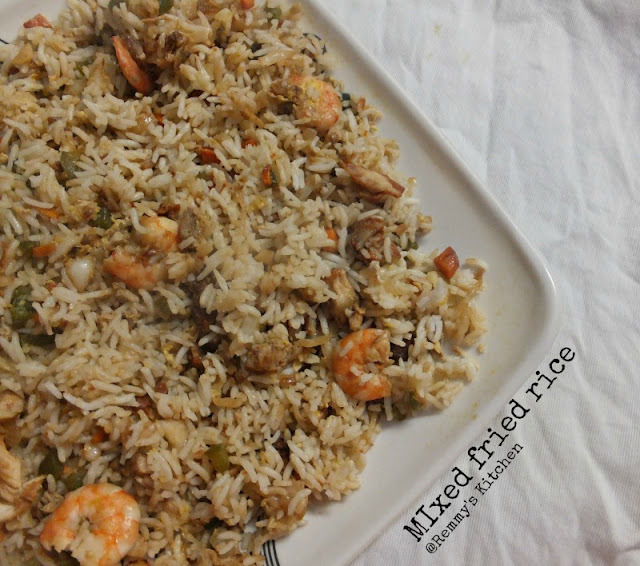 Sounds good Remmy, I do enjoy preparing fried rice dishes, also a good way to use up leftover rice! 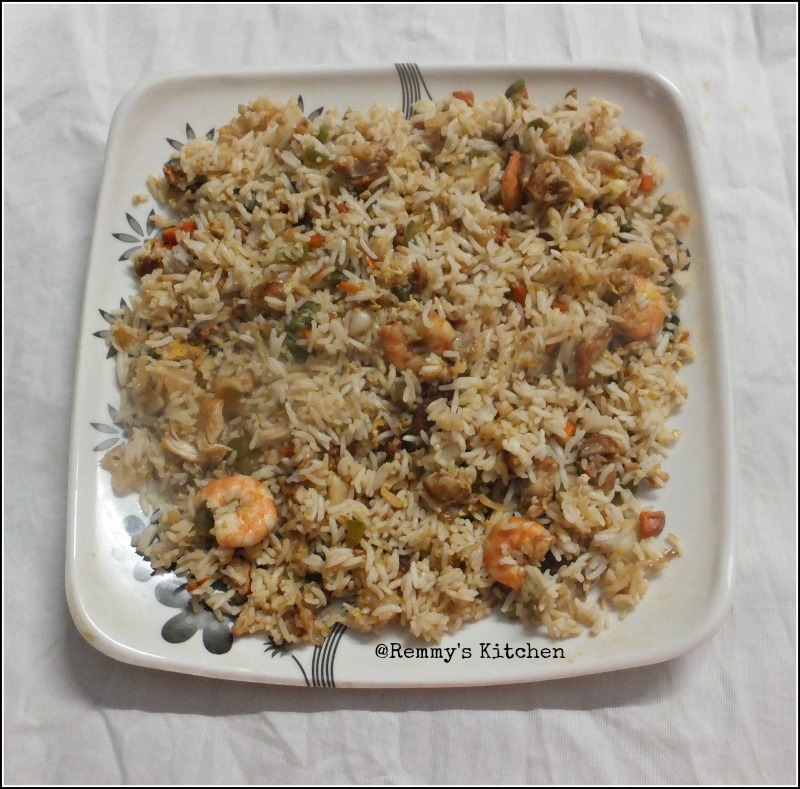 love to make this yummy fried rice Remya..